Harsh and exemplary depiction of both the brotherhood and danger it means to be a SEAL team member. Not since Black Hawk Down has there been a better film about being trapped behind enemy lines and facing seemingly insurmountable odds. All the characters are given just enough glimpse of their humanity and real lives to feel the emotion when things go bad. The action scenes (from small gun fire to tumbling down rocky slopes) are amazing - it hurt me just to watch, let alone imagine what it must have been like to go through. Hoo-rah. ONLY ONE OF THE BEST WAR MOVIES OF THE YEAR! Mark Wahlberg was outstanding in this movie. It seemed to be very Realistic. It was based on a true story and Peter Berg made the story very easy to follow and in the time allotted giving you a chance to really identify with the characters. This movie had moments that was violent and harsh but it will definitely keep your attention. Intense, brutal and realistic, this is easily one of the greatest combat war movies of all time and the best movie yet about the recent wars in the Middle East. Mark Wahlberg gives the best performance of his career and he is backed by a fine supporting cast. An engrossing true story. A squad of four Navy SEALs on a mission in the mountains of Afghanistan find themselves cut off from their support and heavily outnumbered and outgunned by Taliban insurgents. This is a really great movie. that i think will be hard to beat this year. i just hope it gets the recognition it deserves. Its based on the true story of four naval seals who end up stuck out on their own fighting the taliban. its brutal honest real and very well made and acted. mark wahlberg puts in his best performance in this movie. there's no in your face obvious messages it merely shows the face of war and the conflict through all eyes with solid unflinching action. the scenes do the talking here. No posts have been made on this movie yet. 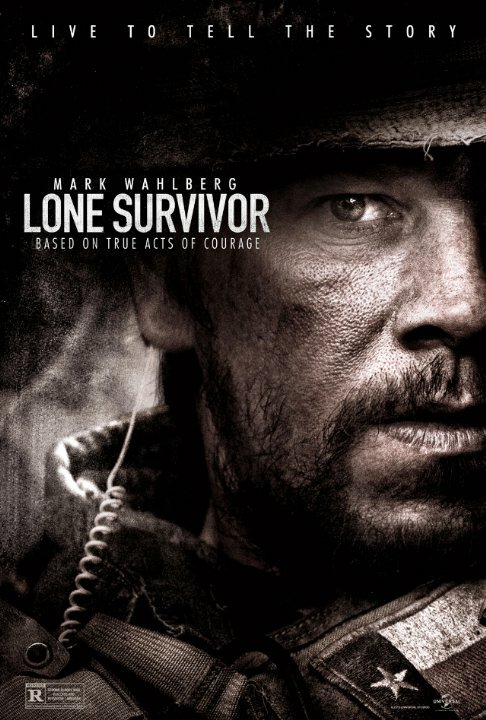 Be the first to start talking about Lone Survivor!